This farmhouse, on a working beef farm at the western fringe of the Lake District National Park, has views of Corney Fell. The holiday property is two miles from a sand and pebble beach and a short drive to Muncaster Castle and Gardens where you will find the International Owl Sanctuary. The area is rich with visitor attractions such as the South Lakes Wild Animal Park at Dalton and L’aal Ratty Miniature Steam Train which travels from Ravenglass to Eskdale. Shops 0.25 miles, pub and restaurant 0.5 miles. Ground floor: Living/dining room. Kitchen with beams. 1 double bedroom. First floor: 3 double bedrooms (two 5ft). Bathroom with bath, shower cubicle and toilet. Separate toilet. Woodburner in living room (initial fuel included). Oil central heating and electric included. Travel cot. Cot. Digital TV. DVD. CD. Electric cooker. Washing machine. Freezer. Enclosed lawned garden with patio and furniture. Portable Barbeque. Ample parking. No smoking please. Holidays run from Friday to Friday. For a better idea of where Beckside Farmhouse is, you can see Beckside Farmhouse on the map below. 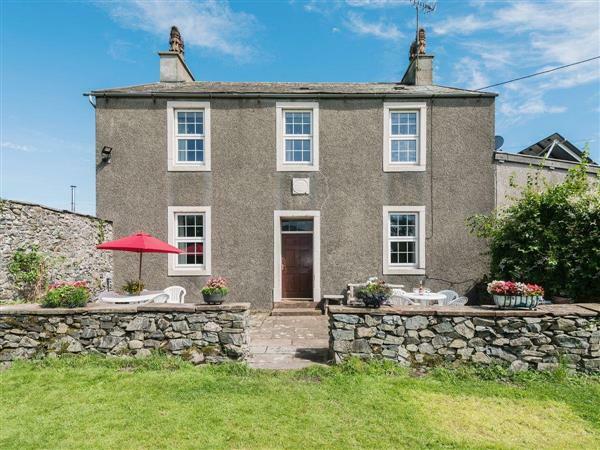 Beckside Farmhouse is in Cumbria; should you be on the lookout for a special offer, you can find all the special offers in Cumbria. It's always worth checking to see what is on offer at the moment. Do you want to holiday near Beckside Farmhouse (W41904), you can see other cottages within 25 miles of Beckside Farmhouse; have a look to find your perfect holiday location.